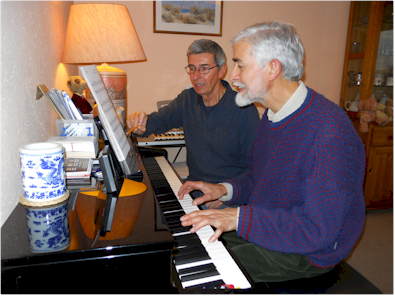 After many years experience as an instrumental teacher in Gloucestershire schools I now offer both Piano and Keyboard tuition from my studio in Thrupp Lane, Stroud. 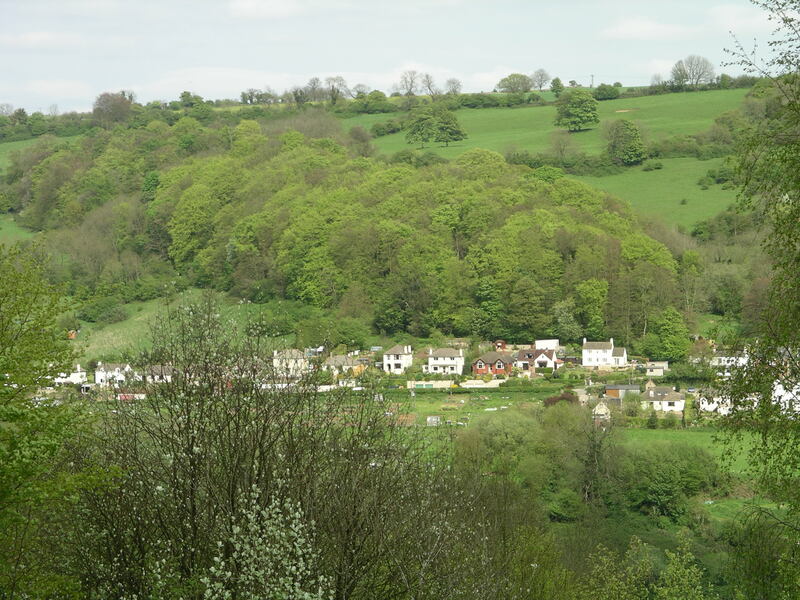 Having introduced the London College of Music exam centre to the Stroud area, as college representative, the centre is now thriving nearby. I offer tuition to all age groups and abilities. 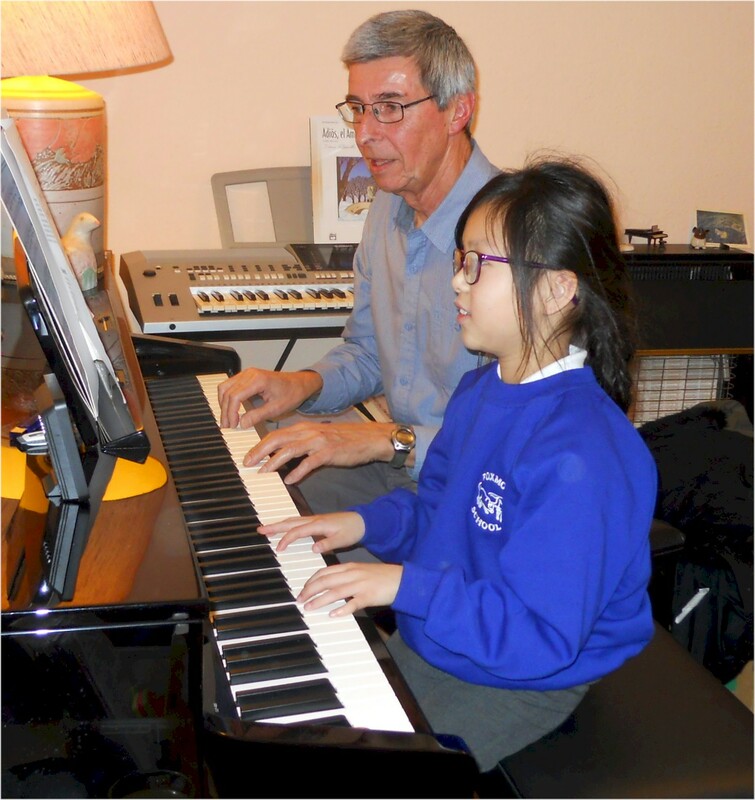 You may choose to sit an exam or simply play for pleasure and a particular feature is the vast library of piano and keyboard music which I have built up over the years and which is available for free loan to all pupils. Should you wish to sit an exam, I am happy to offer tuition in any syllabus. Note that I have never had an exam failure! 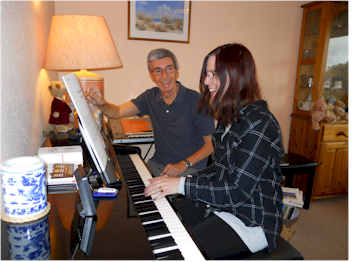 I offer a free consultation and a free first lesson - try before you buy! "Thank you so much for your dedication and hard work in the Music Department of Stroud High School over the years"
"Thank you for the lovely music and for encouraging our children to follow in your footsteps"
"Many thanks for all your good humour and brilliant teaching"
"A special thank you for your help with my GCSE music"
"I do thank you from the bottom of my heart for all that you did for me. You can never know how grateful I am"
"I've never known anybody so happy in his job"
"Thank you so you have been so kind and have given the children some fabulous music skills!" "Thanks for your enthusiasm and dedication in teaching James and Annabel!" "Thank you so much - you have been so kind and have given the children some fabulous music skills"
"Thank you for teaching me this year I loved learning my piece for the concert I can't wait until next year!" "Thank you for being such a great piano teacher. I really appreciate all the help and tuition you have given me"
"Thanks for teaching me keyboard. I've learned so much. You are the best!" " A special thank you for your help with my GCSE music"
"Tom says piano lessons are not the same without you"
"It has been a pleasure to work with you over the years and we have enjoyed your enthusiasm. I have so much to remember from my time at the school! Thank you for my piano result; I am really pleased I got a distinction"
"Thank you so much for working with Brendan over the years - you've had a wonderful influence on him which will last a lifetime"
"Thank you so much for being so patient and for being a great teacher"
"Thank you for your time and commitment"
"With love and thanks for all you have done for Tom and Indi"